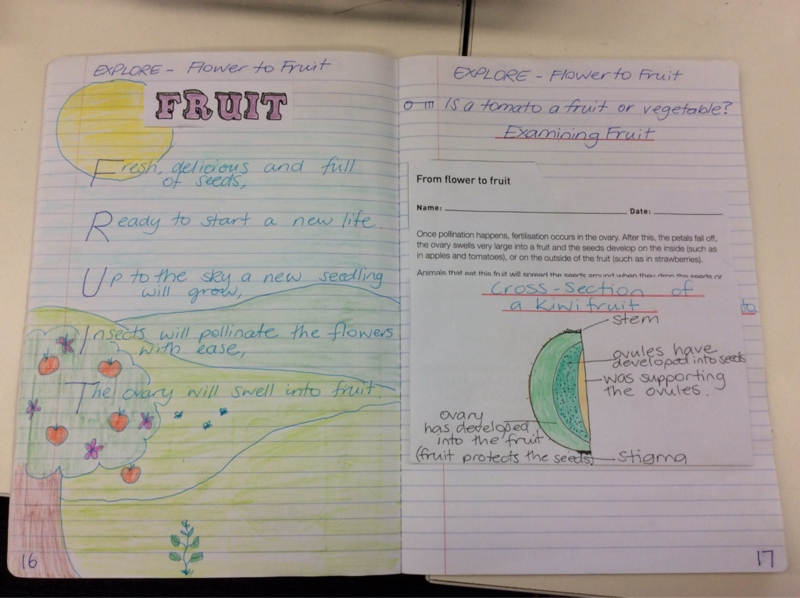 This week in Science, we explored what actually happens to the flower once it has been pollinated and then fertilised. 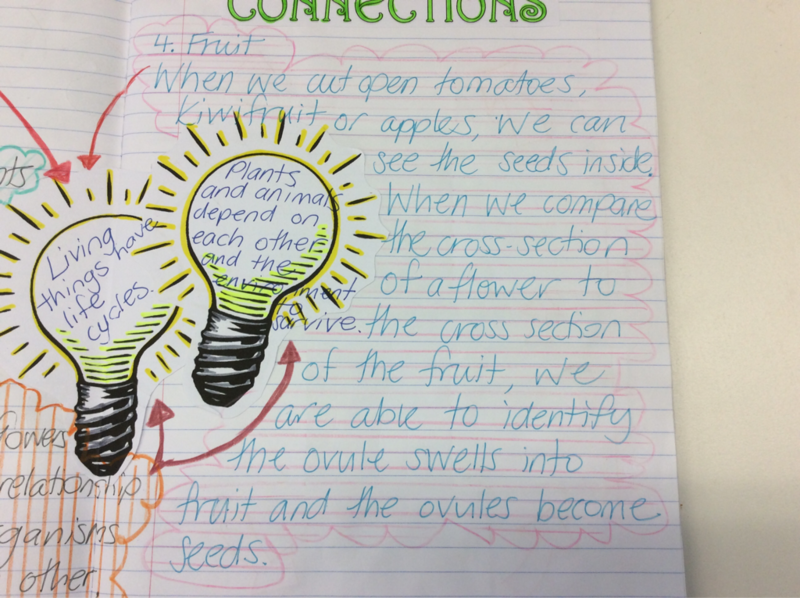 We examined the cross-section pictures of a tomato plant flower and fruit to identify the parts of the flower that develop into the fruit. We further compared the pictures to an actual cut tomato. 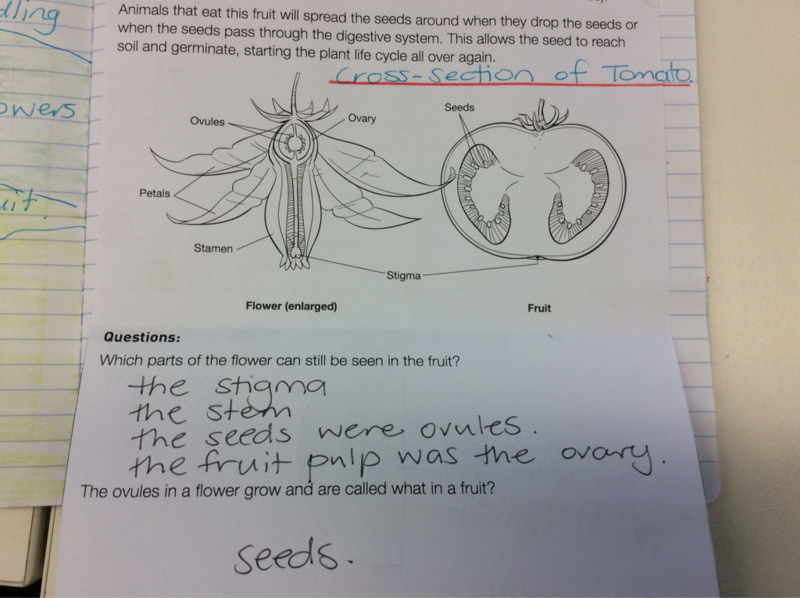 We could easily identify the parts of the tomato that were the stigma, stem, ovary and ovules of the flower. The ovules developed into seeds and the ovary swells into the fruit pulp. This is to protect the seeds. 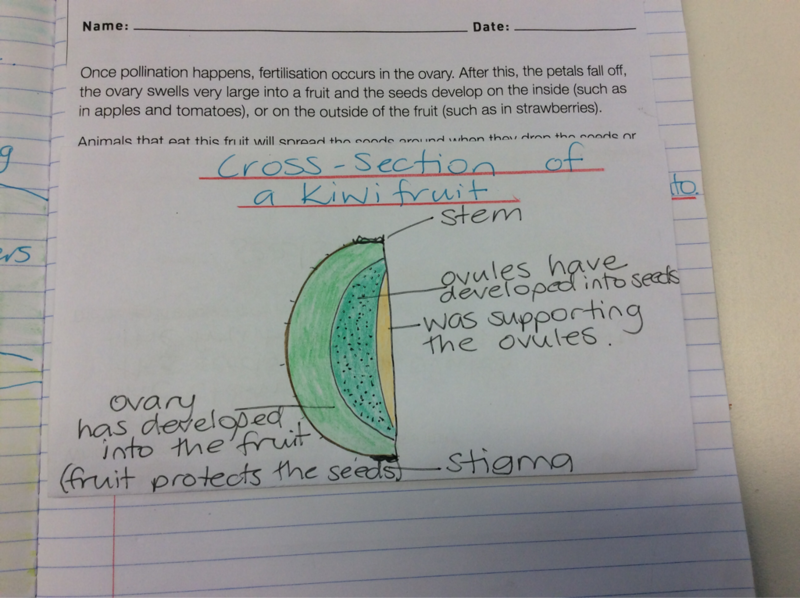 We then examined a cross-section of a kiwi fruit and drew an annotated diagram to show which parts of the fruit were once the parts of a flower. 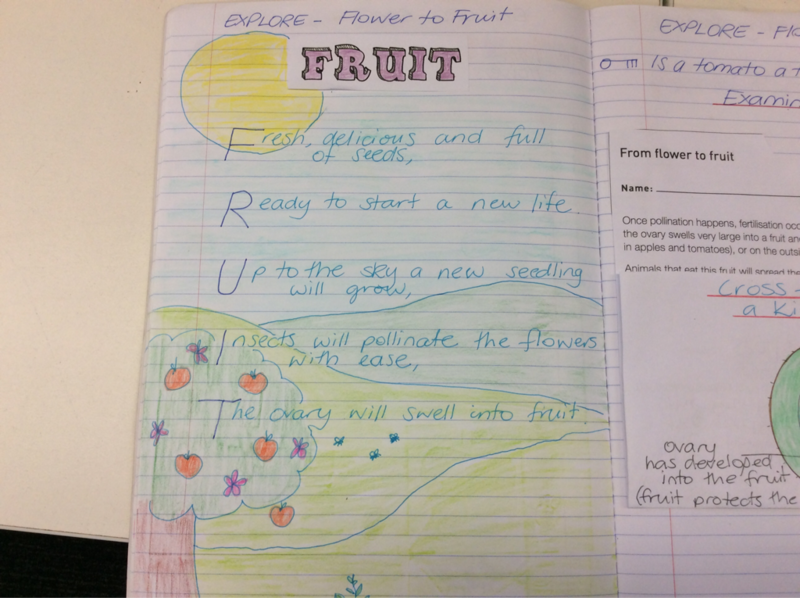 To demonstrate what we have learned so far about the processes involved in a fruiting plant, we wrote an acrostic poem titled, Fruit. Our goal was to include one fact that we had learned in each line of the poem. Why do we use a factual text? We use a factual text to inform, teach or persuade someone reading it. We can read a factual text to collect information. What does a factual text include? A factual text includes a title, text and pictures. It might include labels, diagrams, maps and photographs.